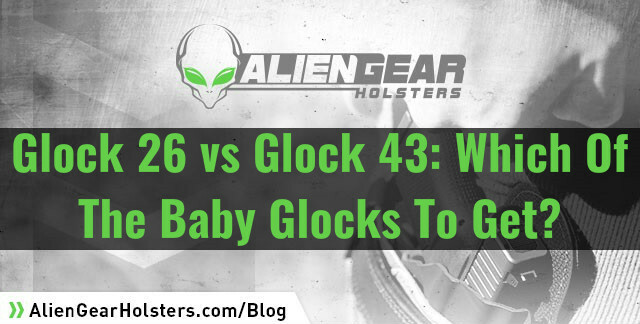 Home Gun News Glock 26 vs Glock 43: Which Of The Baby Glocks To Get? 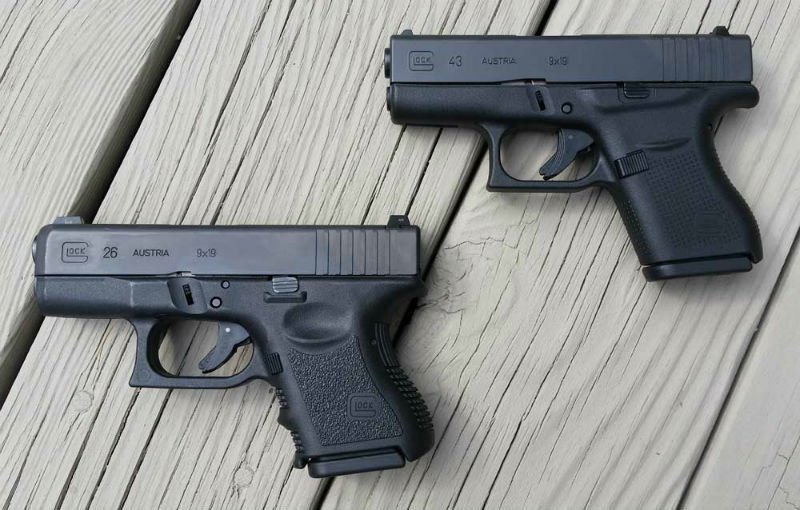 Glock 26 vs Glock 43: Which Of The Baby Glocks To Get? 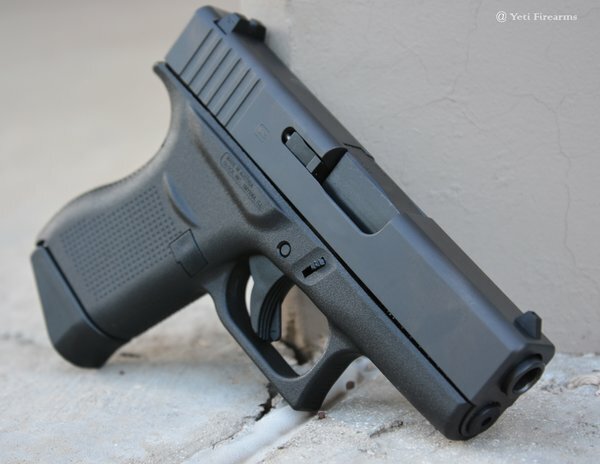 When it comes to a subcompact Glock, the eternal debate seems to be Glock 26 vs Glock 43. Each is a very popular CCW pistol, and each has a lot to offer the person who carries it which has led to both becoming a very popular CCW gun. But which is better? That’s a bit harder to nail down. The differences between the two are rather slight on paper, but in the real world can add up to some fairly significant differences. Why do people argue the G26 vs the G43? Largely because of the (arguably perceived) benefits of magazine capacity contrasted with easier concealability…but the Glock 26 is not hard, at all, whatsoever, to conceal. The Glock 26 holds 10+1 rounds of 9×19, in a compact double-stack magazine. Granted, it can actually hold more; what a lot of people like to do with the 26 is to carry a full-size magazine in a mag carrier as a backup. If shooting starts, and they empty the first magazine, a 15-round magazine from the 19 or a full 17-round magazine (from the 17) can be inserted into the pistol. If a person puts a sleeve on the magazine, it will create a full-size grip to boot. The 43 holds 6+1 rounds of same. Additionally, aftermarket magazine extensions and floorplates can add an extra round or two and a bit more space for the pinky. They’re available for the 43 too. The 43, however, is smaller than the 26, which is already a small gun and was bestowed with the moniker “Baby Glock” upon its release in the 1990s. That has made it instantly successful as a CCW pistol. While the 26 is easily concealed, the 43 is even better suited to deep concealment. In a good IWB holster, it disappears but unlike the 26 it is also suited to pocket carry, though pocket carry is really not recommended with the light trigger of a Glock unless you do so with a pocket holster. Just how different are the Glock 43 vs Glock 26 dimensions on paper? Not quite as different as chalk and cheese, but there’s enough of a divergence to make a bit of a difference in the real world. The 26 has a 3.42-inch barrel, the 43’s barrel is 3.39 inches. Not much difference there, but the overall lengths are 6.41 inches for the 26 compared to 6.26 inches of the 43. Not much difference, but 0.2 inches can make a difference between not printing and starting to print at the top of the slide. 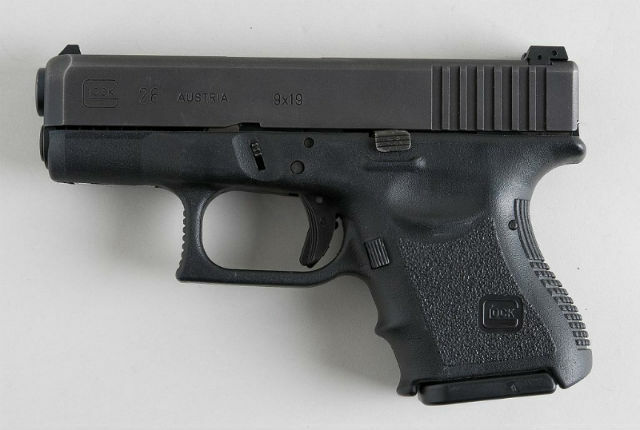 The 43 is actually taller at 4.25 inches, compared to the 4.17-inch tall Glock 26. The 26 is a bit wider and heavier, at 1.18 inches wide and weighing 21.7 ounces unloaded. The 43, meanwhile is a hair over 1 inch wide and just under 18 ounces unloaded. So…what’s the difference? The 26 is slightly longer, slightly wider and slightly heavier, but not by a lot. Granted, those margins can make a difference. For the person that demands the deepest of concealment, and depending on the body type of the person carrying, these attributes can make a difference so make sure you take that into account.